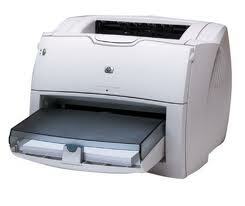 Q1334A HP Laserjet 1300 Printer - Refurbished with 3 months Return To Base Warranty & Working Consumables. The HP Laserjet 1300 Printer is as good as buying new as all worn parts are replaced. This saves you up to 50% off the price of a brand new printer. We are confident that you will be 100% satisfied with your HP Laserjet 1300 Printer and are here to help with any support questions you may have. The Manufacturers part number/product code for this item is: Q1334A. Promote your business effectively with the HP LaserJet 1300 series printer. With this network capable, flexible and compatible black and white printer you can produce business documents reliably and its compact desktop design fits most work spaces.Performance and flexibility you can rely on.HP's high-performance personal monochrome LaserJet printer designed for the office professional. Bundled software HP Printer Software on CD-ROM includes HP Installer/uninstaller, drivers - HP PCL 5e, HP PCL 6, HP Postscript level 2 emulation, HP Toolbox for diagnostic status and configuration, Embedded Web Server, help, documentation.